Why take the CSSA certification exam? You would be recognized well among others. If you have any plans to change your job, certification helps. 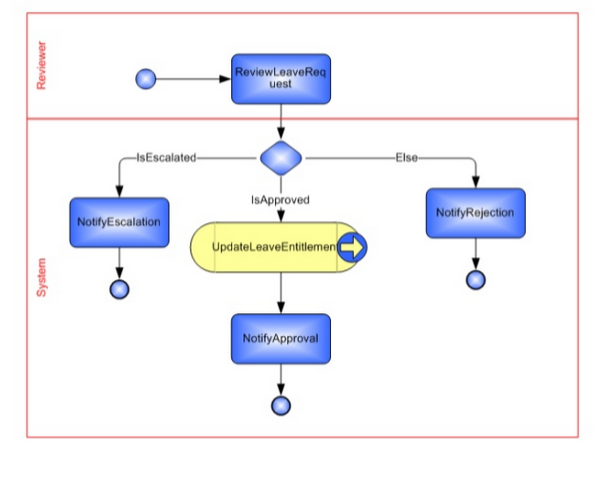 By selecting a BPMN Visio stencil, you can create flow diagrams that closely match the appearance and notation used in Business Process Management Notation (BPMN) diagrams. So, they would be similar and follow best practices of Pega BPMN. 5) Go to Process Commander XML to see representation of the flow in XML. 6) You can also edit the XML to change flow or covert into BPEL or XPDL both are supported wfc standards. 8) You can configure email adapters, outlook connectors by using wizards or connectors of Pega.We can also use integration capabilities like JMS, MQ, CORBA etc..if needed with legacy system communication in message routing.Also can generate services. 9) save your work flow and publish. Situation: Transformation program to improve and automate the recovery management process for a large global insurer with complex reporting requirements. Using BIX, Extraction rule can be configured to extract the instances of any work or data or assign class. Using the extraction rule, we can extract Single Value Properties, properties in a page, page list, page group, value list, Value group, embedded pages (all levels), embedded page group (all levels). Extraction rule provides the option to select the list of properties for extraction based on the applied to class of the rule. Direct properties and inherited properties of class will be available in extraction. Data can be extracted to xml format or csv format or Database table. BIX extraction process can be scheduled by calling Process Commander Application libraries from the Ant script. We specify the data to be extracted and the output format by providing an Extract rule definition defined in Process Commander. these are the major steps to install Pega PRPC. These are to be kept in mind by software administration team. Hope this Installation procedure was useful. There have been cases where projects have blended PEGA methodology with more traditional development approaches such as Agile or Waterfall. Normally this is done based on dependencies. For eg. large J2EE changes would follow waterfall, smaller J2EE changes follow Agile, ESB changes would follow RUP, Pega would follow Smart BPM- this is just an example and it depends upon the project decisions. BPM is not just technology. BPM is a management concept that helps organizations achieve their strategic goals and drive their operations. Automation is a key component of BPM solutions. It includes several iterative phases from design to execution to monitoring and continuous improvement. It plays a key role in process improvement and enterprise architectures. 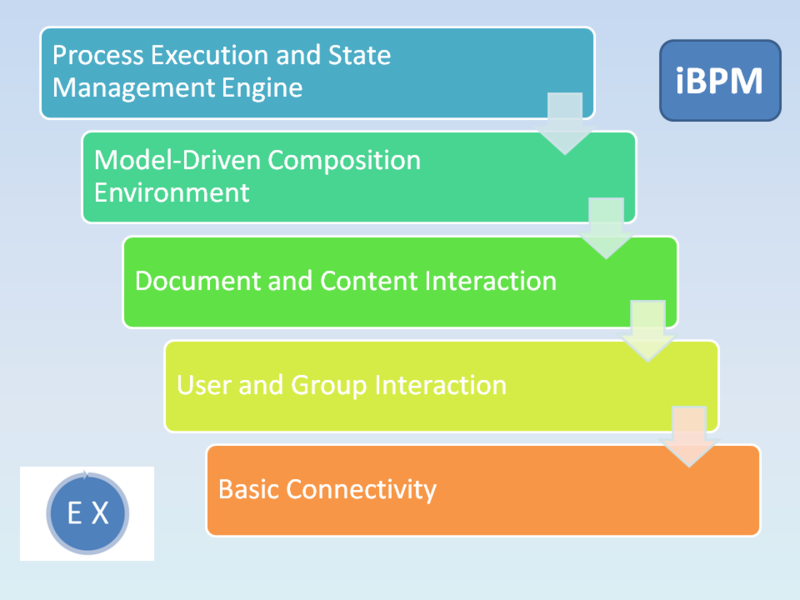 Process Component Registry/Repository iBPM suites are ideal for intelligent business operations. Key among intelligent business operations are iBPM-enabled customer relationship management operations. 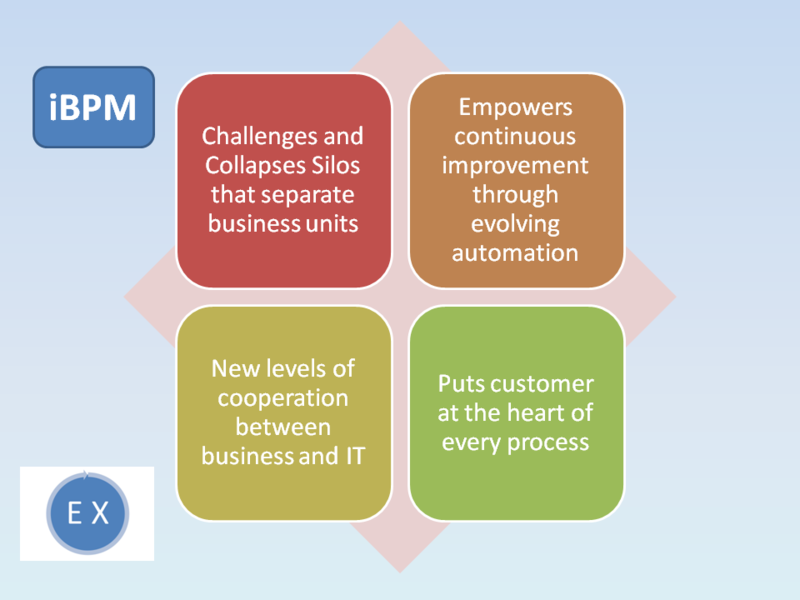 Learn more about iBPM or even more about iBPM…..
What is iBPM as per Gartner? iBPM has become the new way of creating customer centric software and agile business solutions. iBPM automates not only mundane tasks and key business practices but also dynamic knowledge work. The Next Wave for Customer-Centric Business Applications and the branding of products and services. Other high-level objectives include improvements in productivity, compliance, cost reduction, as well as innovation by a well-oiled adaptive enterprise with satisfied customers and stakeholders. IT, on the other hand, focuses on providing the necessary support and execution of systems that can help achieve the business objectives, using intensely technical platforms, tools, and primitives. There are legacy and proprietary systems that are difficult to extend. These traditional IT issues—from maintenance to increased backlogs and requirements for new applications—are augmented with new challenges, especially globalization and compliance. Today, organizations are increasingly facing pressures to change and respond to multiple types of challenges. These can come from internal stakeholders, customers, the government, and shareholders alike. As organizations migrate to emerging enterprise solutions, the frequency and magnitude of change is increasing. Market pressures, the need to integrate diverse departments, and global competition are driving management to constantly evolve the ‘rules’ of the business, resulting in a massive increase of changes in business policies and procedures. Since iBPM solutions automate policies and procedures, they stand the best chance of reducing or even eliminating the execution gaps, while allowing the business to keep up with change. The next sections delve into each of the letters of the acronym: “B,” “P,” and “M” as well as the “i” or the intelligence of iBPM. Business: The “B” in iBPM Let’s talk about iBPM, starting with the business. iBPM is not just about technology: It is the discipline of building solutions with a business focus. 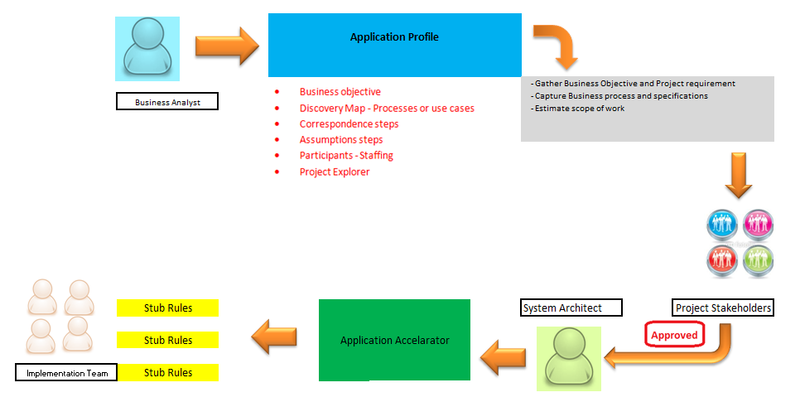 Application Profile is one of the DCO (Direct Capture of Objective) tool in PEGA. The other two are Application Accelerator and Application Documentation. Application Profile is used by the Business Analyst or System Analyst when a project starts. The main purpose of using Application Profile in the beginning of project is that it is mainly use to capture client requirement and business objective of the customer. Collecting requirement of a project is a big task and especially when it is a large project and involves dozens of stakeholder. Creating requirement document and maintaining version of each of the requirement document is difficult job. What PEGA has provided is Application Profile in which a project manager or business analyst can capture the business requirement, business use cases, and project objectives all inside the PEGA environment. Project manager or BA does not have to create a word, excel or use any specific template to capture the requirements. With Application Profile following requirements can be captured. 4. Any assumptions captured during the project initiating phase. 5. Kind of correspondence (email, letters, fax etc) which application need to generate. 6. Estimated Scope of work in the project. Once the Application Profile is ready it can be shared with the project stakeholders and their approval can be taken before the development can begin. Once the stakeholder approved the application profile the System architect of the team can use the information collected as an input toApplication accelerator which in turns create the complete applicationskelton of the project. It creates the Stub Rules which project teams can work upon.